Very few things in life are immutable. 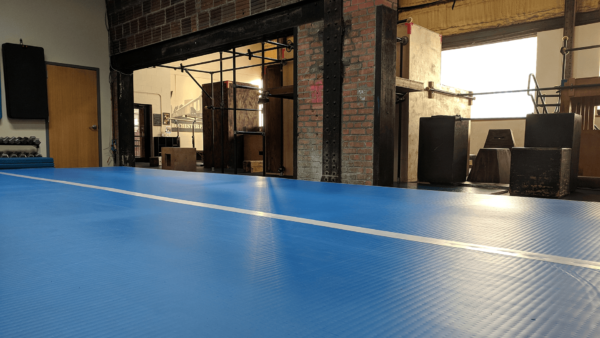 Here at Rochester Parkour, we’re proud to have created an environment that represents the ephemeral nature of life – things evolve, adapt, and inevitably change. We’ve begun the process of creating and adding new challenges to project during Open Gym. 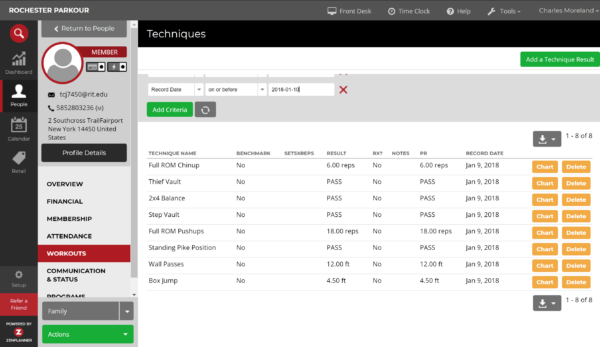 For those of you missed our last blog post about our new workout features, click here to learn about it! 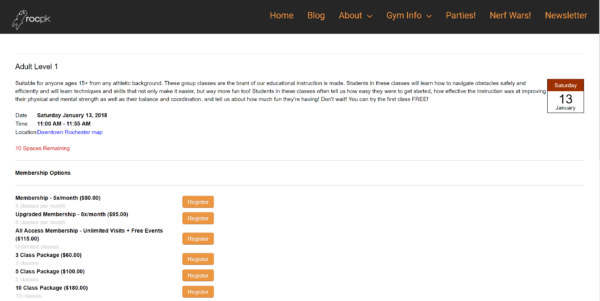 The first section you’ll see will be generic recommendations on how to spend your time during Open Gym. This section will change semi-frequently, but it’s possible that it will be the same from one day to the next. 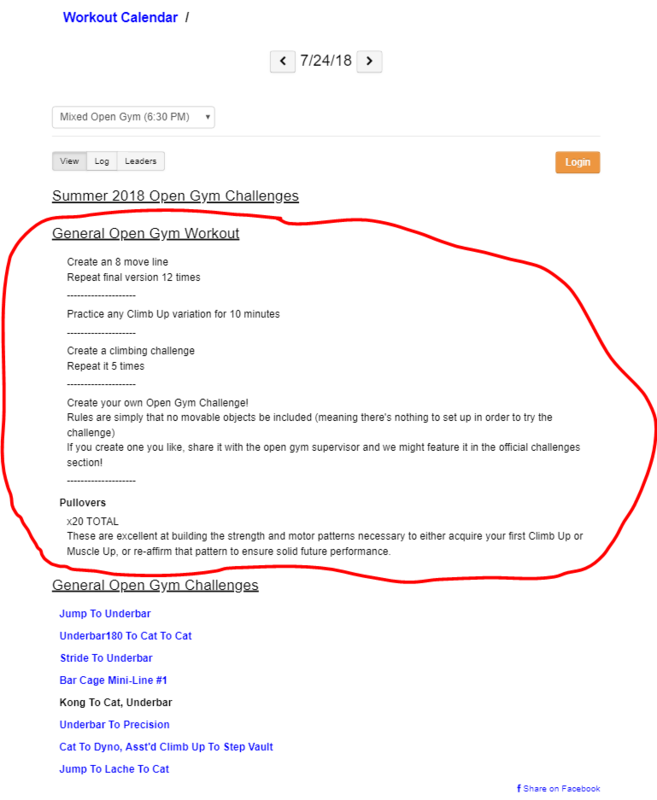 This section will typically have no tracking features and is basically just word text to help guide and inspire you to be creative and move on your own, however, any time you see an exercise that is bolded, it means that this exercise exists in our database and progress, reps, or scores can be tracked for them. The second section will be where all of our challenges will be housed. 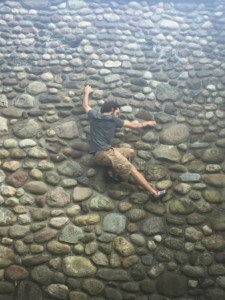 These challenges have been curated by RocPK as fun, interesting, or particularly challenging feats that are great ways to hone various skills or track progress and proficiency. Challenges will always be accompanied by a short video that can be accessed by clicking on the blue title. Nearly every challenge will have a full-speed view as well as a slow motion view to help you better comprehend what is involved in the challenge. Students may absolutely submit their own challenges to us! Take a short video (landscape view, as little camera pan as possible, and ideally 60 frames per second or more if possible) of you completing a short challenge that isn’t already listed. 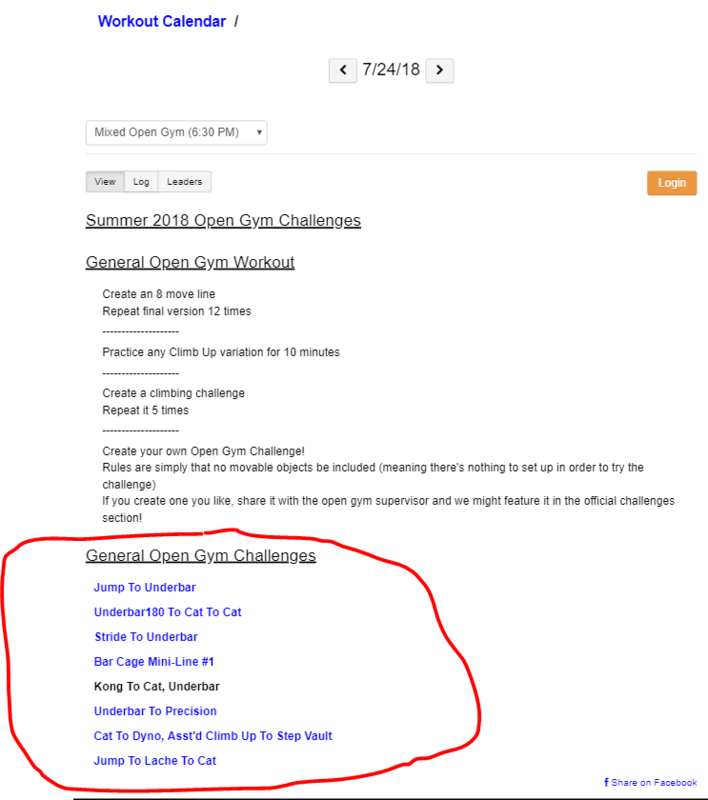 If you want to submit a challenge or movement line, find the Open Gym Supervisor and ask them to either help you video it or ask how to go about getting it in our hands so we can review it and post it. 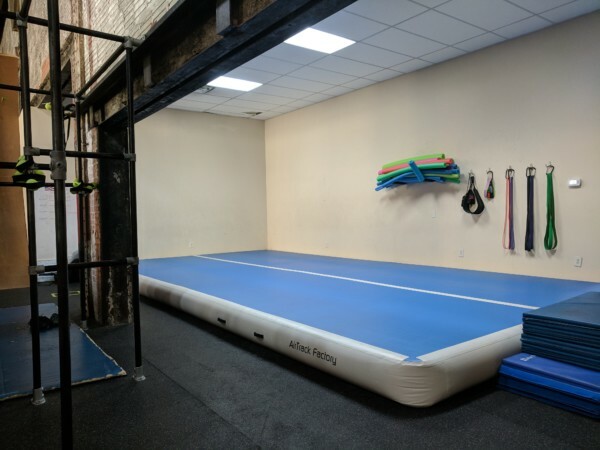 By charles|2018-11-21T23:32:14+00:00July 24th, 2018|Featured, News, Parkour Training|Comments Off on New Gym Layout, New Gym Challenges! 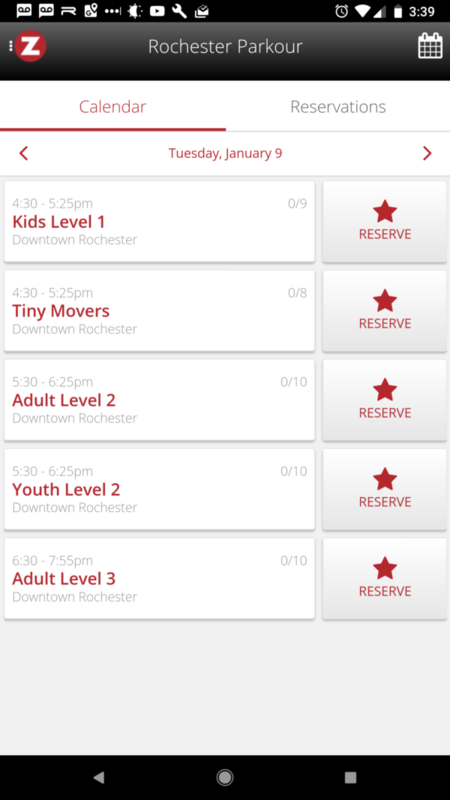 A new way to experience all that Rochester Parkour has to offer! Motivate, inspire, and track all that you do inside (and possibly outside) the gym with Zen Planner’s Workout Tracking feature set. Currently, the full functionality is only accessible through your phone’s mobile browser because most of what we do is visual and hard to describe through text alone. 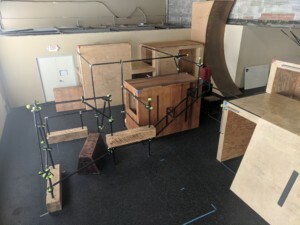 In order to be able to click links and be taken to a video of a challenge, exercise, or drill, you must first head to https://rochesterparkour.zenplanner.com. 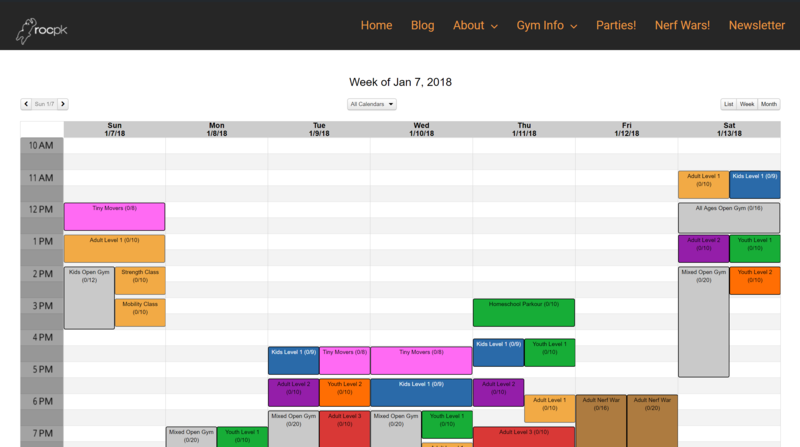 Once there, you’ll need to login to your account and you’ll be able to check any workouts that have been added to an Open Gym or other session and you can also track your own progress for any of our listed benchmarks like push ups, pull ups, max length bar hang, and many more! 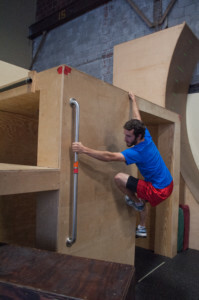 We’re really excited for what this can do to enhance your experience with and at Rochester Parkour. This entire system is still in the works and there’s a lot more that we want to be able to do with it. As always, feel free to let us know what you think about this new system or what you’d like to see added to this system to make it more accessible for you or to help motivate you more to move, progress. and become a stronger mover. 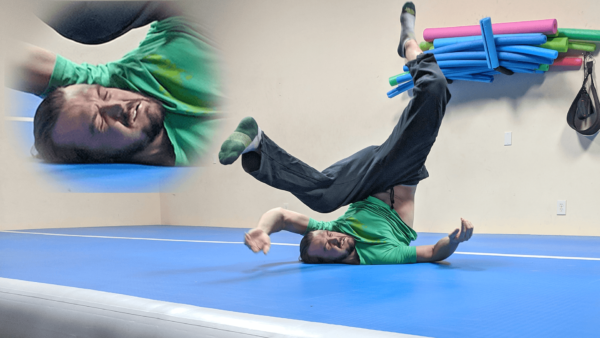 By charles|2018-11-21T23:32:14+00:00June 14th, 2018|News, Parkour Training|Comments Off on Introducing: Workout Tracking! 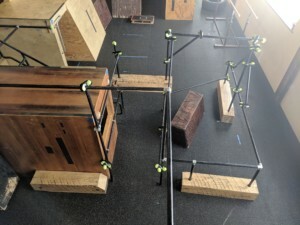 Rochester Parkour Board Game Night! Ours is a community filled with incredible people who come from all walks of life, bonded together through a shared love of playful movement. It makes sense that a lot of the events we coordinate revolve around that theme. However, sometimes it’s just nice to kick it with friends and have some fun playing board games, card games, or just simply hanging out! That’s why on November 9th, we’re hosting our first Community Board Game Night! BYO Board Games to share (except Risk, because it’s bad AND YOU KNOW IT! )- So far we have Settlers of Catan, Dominion, Joking Hazard, Dixit, Munchkin, and Sushi Go. This event will be overlapping the regularly scheduled Adult Open Gym. If you wish to play around, you may, but must be enrolled and have an active waiver signed. Open Gym passes will be half-off for this event. You can pre-enroll for the Open Gym using this coupon code: ROCPKGAMENIGHT. Pre-Enroll for Game Night by clicking here! *Please try to bring snacks that are either contained or don’t make messes so we can keep the gym looking nice! Responsible alcoholic drinking will be permitted to attendees of legal drinking age. 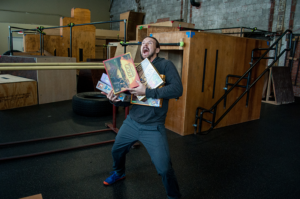 By charles|2018-11-21T23:32:15+00:00October 26th, 2017|Events|Comments Off on Rochester Parkour Board Game Night! 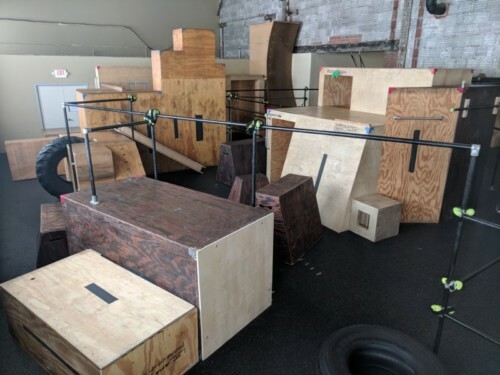 The Gorilla Gauntlet is an obstacle course unlike any other, designed to test your strength, speed, stamina, and skill. 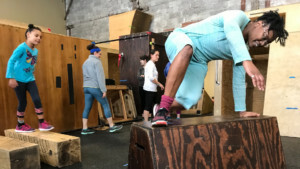 Rochester Parkour will be hosting two separate events – one adult course and one for kids and teens. Ages 4+ permitted with parent�helper if actively enrolled in our Tinies classes! Costumes encouraged! We are giving away prizes to the best 2; Just�steer clear of excessively loose clothing that could impede your climbing abilities! This event is free to watch and $15/person to participate. Members are only $10. Spots are limited so enroll early! See you all there! By charles|2016-10-19T13:24:13+00:00October 19th, 2016|News, The Gym|Comments Off on RocPK’s 2016 Halloween Gorilla Gauntlet! We’ve been working hard to figure out the best method to assess who should move up and when. We’ve tried several different methods in the past, but we are excited to announce our best solution yet! In the past, either an instructor told you that they thought you were ready to move up to Level 2 classes or you had to sign up for a Level Test. These methods were deemed impractical because they left out certain people who either didn’t feel like they were noticed or could never attend testing nights due to schedule conflicts. We feel like this is the most complete version of the Application process to date! 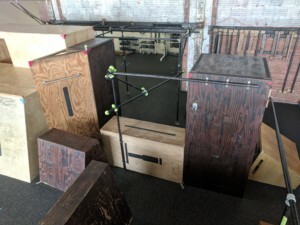 However, if you still have questions about the techniques or the submissions, don’t be afraid to ask your instructor or email us at info@rochesterparkour.com. 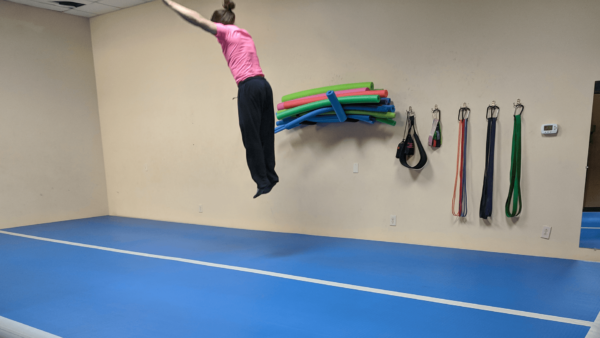 By charles|2018-11-21T23:32:16+00:00October 17th, 2016|News, The Gym|Comments Off on New Changes to the RocPK Level Test!